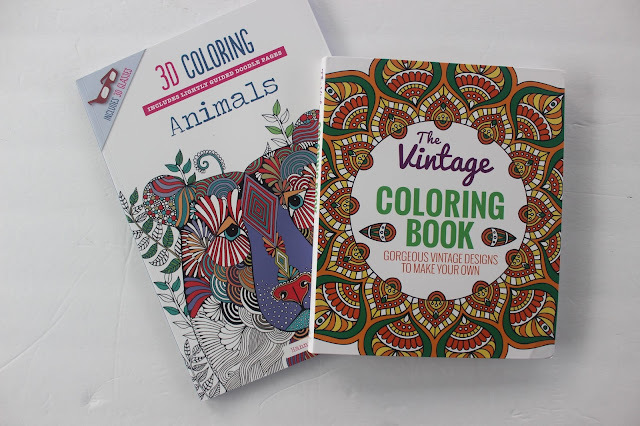 Ask Away Blog: So What's the Deal with Adult Coloring Books? If you are on social media at all these days, I'm sure you've seen at least one person post about adult coloring books. They are becoming a big deal again now because it's being said by medical professionals that there are lots of benefits to coloring. It's true though...have you ever seen kids coloring? They are so pleasant and focused. They can listen to what's going on around them even though they are paying attention to their picture. And afterwards they have a great sense of pride and accomplishment when their picture is done. Coloring can connect you back with thoughts and feelings of your childhood when life was more carefree and laid back. It's also a great stress reliever because it keeps your mind busy and it's relaxing physically. Coloring helps me focus better, as odd as it may seem. When I'm coloring it's mindless for me so my brain ends up tuning into what's around me like what's on TV or a webinar I'm listening to. But see, when I'm coloring or doing a fun mindless activity I tend to do some really weird things that drive my boyfriend nuts. For starters, I babble like a fool. I'll repeat things I hear on TV but I say them in a goofy voice. I make weird sounds, I hum songs that don't exist and sometimes I just randomly scream. I'm not kidding dude. I am WEIRD! 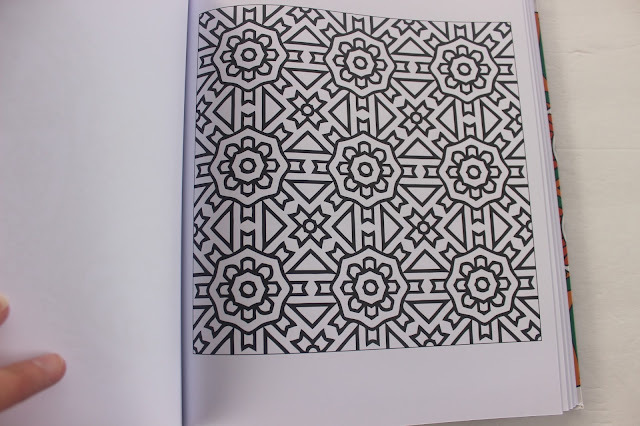 Coloring also is a fun hobby that involves being creative when you try to decide on different colors and patterns to follow. When's the last time you got to be creative with pencils, markers, or crayons!? So I have two different coloring books - one is an animal book and the other has vintage patterns and designs! I love the beautiful designs and I can't wait to figure out what colors I want to use and what patterns I want to follow. It kind of reminds me of designing fabric so I'm going to pretend I'm a famous designer! See, I'm already using my imagination! I would make these little books by folding printer paper in half and stapling it in the middle. I'd start writing a story but I'd stop half way through. My mom always pointed it out and we laughed. Now, when I go through my boxes of stuff and I see them I laugh even harder. 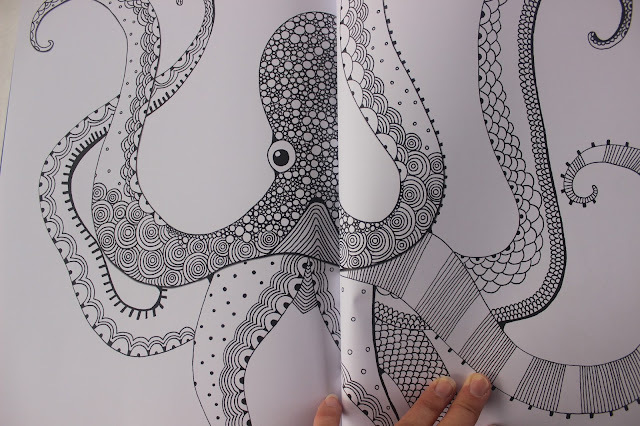 I'm so excited about the animal coloring book because I love animals to begin with but I've always enjoyed the decorative patterns, bubbles, and shapes that artists use inside of animal decor for houses, etc. I can tell you already that from the few pages I've done I really really enjoy it. And don't say you're bad at coloring. I mean honestly, it's not hard to stay in the lines as an adult. You can use markers, crayons, or colored pencils. I like colored pencils just because they are a bit more precise, at least for me. I will be sharing my finished colored pages on social media so be sure you follow me so you can see them along the way! Honestly, coloring is so relaxing. I do it all the time now and I really enjoy the challenge of trying to use just the right colors so it all looks perfect...well atleast to me! I remember why I loved coloring so much as a kid...it was just a great way to relax but still be doing something so I wasn't bored. This is one trend that I'm proud to join in on! 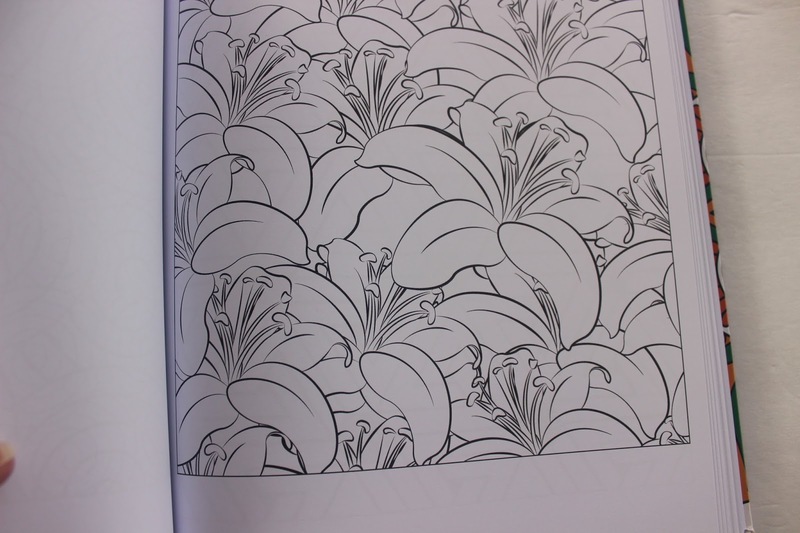 Ellen, I am so into the Adult Coloring it's pitifull!! I need a life! I have 5 different coloring books , 2 colored pencil sets and a large and small colored marker set! Maybe I am getting senile as I will be a "young" 65 years on Saturday! I do find the coloring has helped with my arthritis in my right hand. At least, that's my story and I am sticking to it! Have a very Happy 1st Thanksgiving in your new house! Love to you and James and the furkids! It really keeps me relaxed even if i just do it for an hour. Thanks patty, love you! I've been seeing these things everywhere! They're so cool, and I wanted to grab one for myself but didn't know when I'd have time. But this post reminds me of how much I used to love just coloring and drawing as a kid. You're right, you definitely start thinking about anything and everything else when you color. Seriously give it a try - its so fun! I know it seriously is!